Tom Clancy's The Division had its fans, but there's no denying that the MMO shooting experience could have been much better. So Ubisoft and Massive Entertainment got to work on ironing out the kinks and the result is Tom Clancy's The Division 2. But does it stand out about its predecessor? Is it worth exploring a dystopian United States with friends? Today, we revisit the Shacknews review to answer these questions. We'll put it alongside reviews from across the gaming world, as well as platform-specific outlets to add in their point-of-view. Take a look and judge for yourself whether it's time to ride with the Division again. Shacknews 8/10: "Sure, The Division 2 isn’t perfect. Those hoping for an in-depth and engaging story will find themselves extremely disappointed in the meager offering on hand here. But, if you can overlook that, you’ll find an amazing experience beneath that is just teeming with engaging content. Considering how easy it is to sink 60+ hours into the game and still have activities to complete, I’m confident in saying that Massive Entertainment has earned themselves a giant gold star." 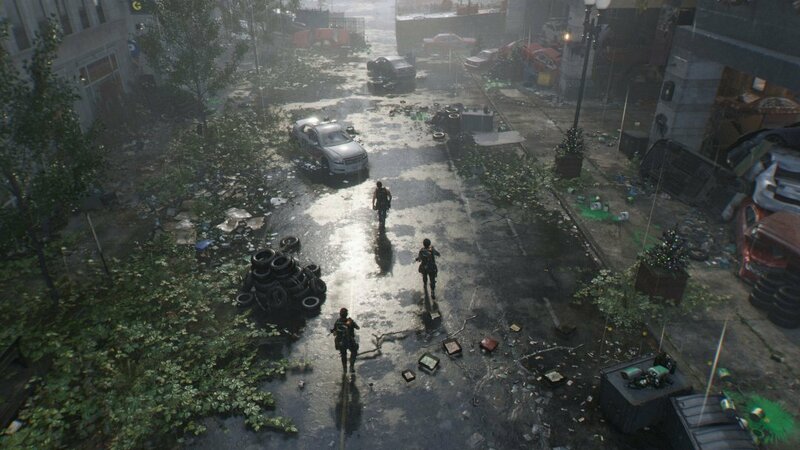 Game Informer 9/10: "Ubisoft learned a lot of lessons during the evolution of its first looter-shooter, The Division, which steadily blossomed into a game that maximized its potential and earned an adulating fan base. But transitioning from of a fully fleshed-out live service to a sequel is a harrowing road filled with many pitfalls, as Bungie experienced with the bungled Destiny 2 launch. 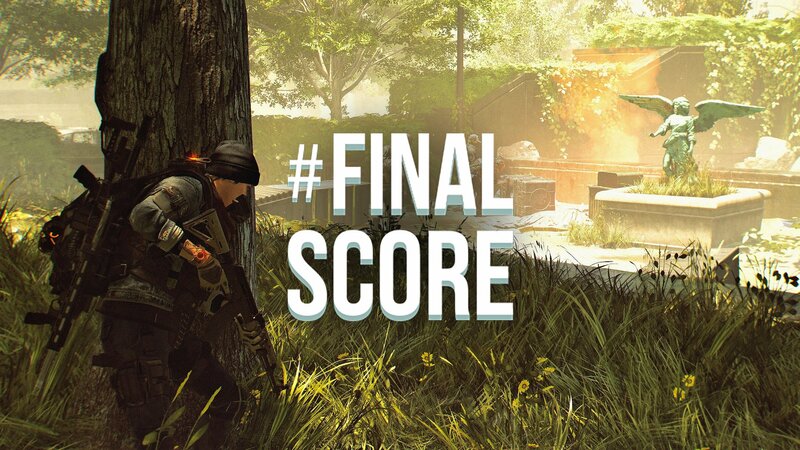 I’m happy to report that The Division 2 heeds those warnings and skillfully sticks its landing, offering a wealth of engaging content that should keep players invested long after they finish the campaign." Destructoid 8.5/10: "Throughout my adventure with The Division 2, one thing remained obvious: Massive Entertainment knows how to launch a successful shooter at this point. They've had nearly 20 years of practice, all of which came to a head with the initially rocky but eventually fixed Division. At first, I was pensive as to whether or not The Division 2's world and characters would be able to draw me in. But after the curtain has been drawn on the main campaign and some of the endgame, I'm more than convinced by just about everything else." Gamespot 9/10: "The setting of The Division 2 is ripe for potential, and it's a shame the game doesn't use it to say anything. I have absolutely no clue why I'm here, what anyone's motivations are, and I wish I had a strong narrative driver to fuel a purpose behind my endless hunger for progression. This letdown is hard to ignore for the game's initial hours, but the strength of the systems and design that fuel The Division 2 as a game are compelling enough to keep you captivated for dozens more. The range of enemy types continues to keep combat encounters challenging, the equipment I earn and pick up continues to feel different, valuable, and asks me to consider new ways of play. The ravaged environments continue to intrigue, and sometimes they're so stunning I find myself needing to take screenshots before I move on. It might not have much to say, but The Division 2 is a perpetual cycle of tension, relief, and reward that's difficult to stay away from." PC Gamer 82/100: "The Division 2 presents a much stronger campaign experience than the first game, with fewer filler missions, and better open world side activities. Its endgame, too, is a satisfyingly different offering to the preceding hours, remixing levels, making the world feel more alive, and escalating the difficulty of side activities to keep you playing. I will say this: if The Division didn't grab you at any point during the past two years of well-considered updates, I don't think this will necessarily be the right game for you now. It's largely a superior version of the same thing: tough third-person co-op shootouts, interlocking player skills, incremental loot rewards, and a familiarly dry Tom Clancy military tone." Push Square 7/10: "The Division 2 is a good, solid looter shooter. At points, it's a fantastic looter shooter, but at the time of writing, it has just a handful of notable issues holding it back. Ideally, a game releases with no problems whatsoever, but in this age of live services, regular content updates, and feedback-based patches, expectations have changed. Fortunately for The Division 2, it launched well. Stuffed with things to do and topped off with some quality gameplay, it's on course to being one of the strongest titles that the genre has seen." Xbox Achievements 85/100: "As a package, The Division 2 is a positively impressive follow-up to Massive’s 2016 outing and is now chock full of content. It’s packed to the rafters with activities, multiplayer modes, gear, weapons, outfits and so on – and the Dark Zone is still as tense and excellent as ever – you can’t really fault Ubisoft’s latest outing from that perspective. Sure, the combat can be a little repetitive and enemies can be bullet sponges, but as we said, that’s the nature of the beast. We’re all very aware of the looter-shooter genre by now, and The Division 2 is an excellent addition that's more than worthy of your time." "I find it better to approach this as a good waste of time, a detailed disasterworld to saunter through for a couple of weeks. After 36 hours, I still haven’t hit level 30, and I’ve barely touched the Dark Zone (one of my favourite places to visit in the last game), so there may be more Division thoughts to come. Suffice to say, I’m enjoying it more than its predecessor. It is chunky, it is moreish, and every time I come back to it in the evening it is like taking a big bite out of one of those mega Snickers you can only find in the cinema. All this praise might seem out of place moments after critiquing the game’s toothless practice of political commentary by obfuscation. But honestly, don’t worry about that. We humans are idiot creatures of contradiction, and we can thoroughly enjoy a rock solid shooter even as we recognise it as being vapid hogwash." Tom Clancy's The Division 2 is available now on PC, PlayStation 4, and Xbox One. If you do decide to pick it up, be sure to keep up with our continuing guides and coverage.